CHRYSANTHY APARTMENTS - Chrysanthy Apartments- official website . Chrysanthy Apartments in Corfu, Greece is an Ionian-style complex offering self-catering apartments with free Wi-Fi. It includes a large pool and it is just a 10-minute walk from Sidari Beach. 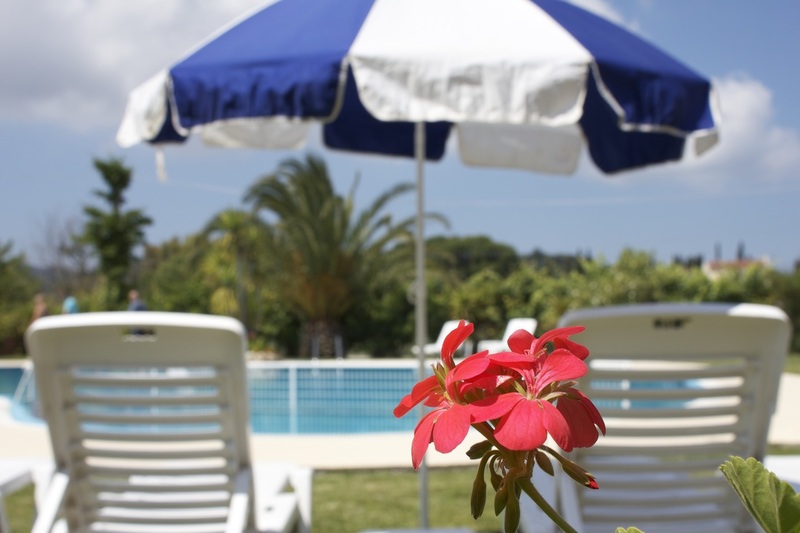 Set admist a lovely flower garden, Chrysanthy Apartments offer a self catering accommodation in Sidari, Corfu, Greece . Included is free Wi-Fi access also inside all rooms, large free-form pool with a separate children pool and free private, on-site parking is also provided. The hotel is just a 10-minute walk away from Sidari Beach. All apartments at Chrysanthy open out to a private balcony with views over the well-kept garden . They come with well equipped kitchen with dining area, bedroom/s with tv and bathroom . Guests can take a refreshing swim or relax on the sun beds with umbrellas available around the pool and enjoy the Ionian sun. Chrysanthy Apartments are ideal for those looking for a holiday haven with resort amenities close by at affordable prices. Within proximity, you can visit Sidari Water Park. The seaside village of Acharavi is 12 km away, while the picturesque bay of Palaiokastritsa is at 25 km. Corfu Airport is at 35 km. Please see special offers page where you can also find suggested links to help you find flights at the best prices. Leave the everyday stress behind and reserve your apartment today. Booking is easy- just fill the reservation form . To see other places of interest please visit our surroundings page.